World Cup Exit and another Zero Tolerance Controversy. After drawing the Rapid playoff Gawain succumbed to his Russian opponent in the Blitz playoff. Gawain played against Alexander Shimanov a young Russian GM who I’ve never heard of but then again I don’t follow chess that often. His opponent to me seemed well prepared and I think that helped him get through the first round. It’s a pity that Gawain’s tournament had to end so soon but I know he’ll be back and ready for 2015. Now it’s time to have a rest after playing the British and the World Cup back to back and then it will be time to work hard again. The calender is a little empty for good tournaments for a 2600+ to play in so if anyone knows of anything then please do say so! Our plans this year aren’t firm but we are hoping to go back to New Zealand for Christmas so Gawain won’t be able to defend his Hastings title. 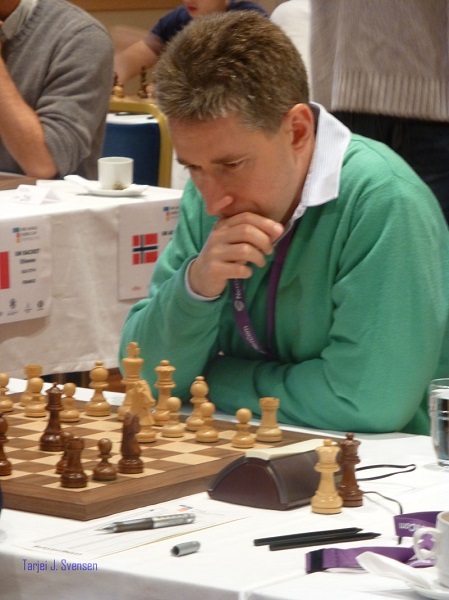 I was also secretly hoping for a Wijk invite but those are like gold in the chess world. You can ask for years and then get an entry into the “C group” which isn’t the kind of players you want to play. The big controversy of the day was GM Jorge Cori defaulting against GM Teimour Radjabov (who I’ve been told by several sources is now living in London). It was a language barrier misunderstanding which cost this teenager. From GM Emil Sutovsky . ATP Players and spectators are discussing the misfortunes of GM Cori. It seems to me, that under the current regulations, the arbiters and the appeals committee just couldn’t take any other decision.However, I think, that there is a problem with Zero tolerance rule altogether. I discussed it few times with Kirsan. I can understand his point of view, although I don’t agree, that the punishment should be THAT harsh. What’s more, even with Zero tolerance rules in force, it should NOT be used in the rapid/blitz events, when you have few games per day and you can’t know beforehand an exact fixed times of the rounds. The verbal announcement of the arbiters between the rounds is clearly INSUFFICIENT way to inform players.I will submit an official request to change this in the regulations. Please, share, if you support this idea. So from the facts that I’ve read there seem to be a huge misunderstanding between the arbiter and GM Cori. I think that the situation is completely unfair and of course the rules are just stupid especially in a rapid game. From what I’ve been told, the reason for default as at some point a GM – not sure if it’s Ivanchuk or Karpov or even Nigel showed up late against his opponent and this was extremely embarrassing for FIDE President Kirsan as he was showing the IOC (as we are trying to get chess into the Olympics) how “professional” chess is. I think that for a professional in a tournament where he is being given conditions it is reasonable that the tournament director should have rules in place such as dress code or zero tolerance. However in a tournament like the Olympiad where the rules were first put in place it is just a nightmare! At least the Olympiad was held in Dresden and there was a huge countdown clock in the room and we do know how efficient the Germans are. Does Chess belong as as sport? Well, it’s kind of hard to say – part sport, part art, part maths, part boardgame it’s kind of in it’s own territory. However having said that, if we were officially recognized as a sport or even an Olympic sport funding for chess would increase threefold (or more!). Even if you have learned English, the difference between ‘fifteen’ and ‘fifty’ when spoken is often very hard to distinguish. If the round time was only given orally, and not written clearly on noticeboards, the decision seems incredibly harsh. It was all over twitter, will he appeal or won’t he appeal. He did appeal and lost. You can see the ruling which is not at all in detailed. It simply states that both players knew the start time and that was that. A real pity to have something like this in the game of chess. Of course this is in no way GM Teimour Radjabov’s fault, as a professional player he needs to stay focus on his task so he can’t personally get involved in the scheme of things and that’s fair enough. Not everyone is like David Navara. Okay, well the situation has happened and like I said it’s just sad that it had to end this way. The Coris got me thinking about chess siblings and I do believe they are the first to play together in the World Cup (please do correct me if I’m mistaken). The are of course strong sibling pairs such as the Hunts from England (IM Harriet and IM Adam), the Mamedyarovs from Azerbaijan (GMShak,WGM Zeinab and WGM Turkan), from Sweden the Cramlings (GM Pia and IM Dan) and of course the Polgar sisters. 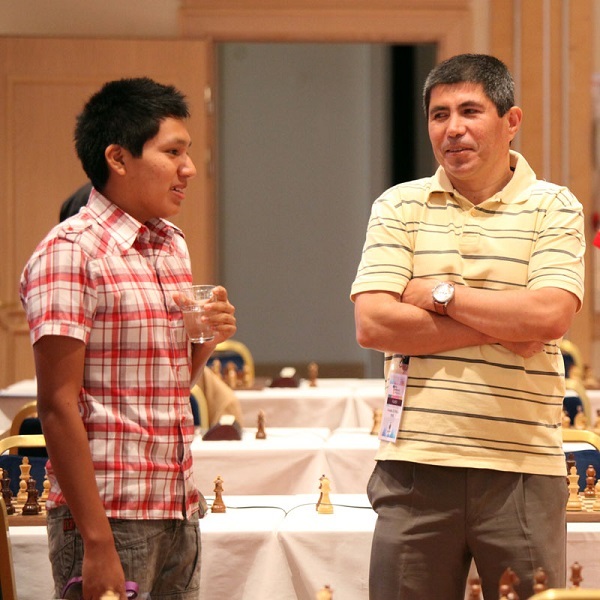 For some reason, I normally think of my chess friends as only children as they hardly ever talk about their siblings (or their siblings don’t play chess at all or anymore). 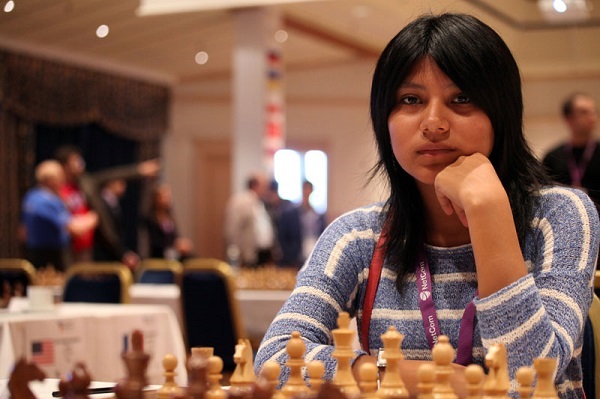 My younger brother gave up a very promising chess career as I think he was always disappointed in his results, at least compared to me, as I won many girls titles (as there were less competition). I guess chess being quite competitive it’s not such a nice environment to be in as a kid so my brother took up Rugby which of course I’ll never play. Last man standing (for England). Back to the sort of chess, Mickey Adams is through but just. His young Chinese opponent messed up in a winning position in the first rapid playoff game and then blundered in the opening for the second game for Mickey to get through to the second round. I’ll now wave the English flag for Mickey who today plays against Yuriy Kryvoruchko from the Ukraine.